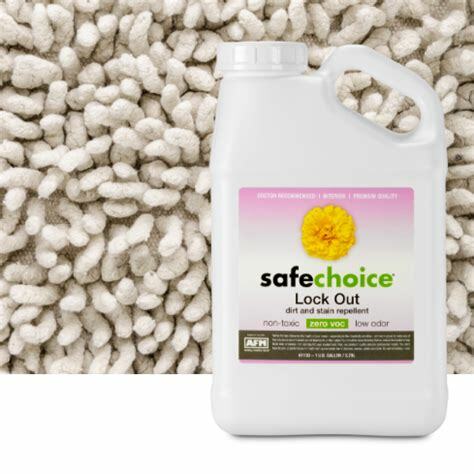 SafeChoice Lock Out is designed to perform two functions: first, to seal in the outgassing of harmful chemicals found in carpet fibers, and second to help repel dirt and stains. I have also seen this product used to seal and protect new toxic furniture. One quart covers 75 square feet. One gallon covers 300 square feet.